Made from premium soft full-grain calfskin leather, our men’s weekend travel bag features two smooth handles as well as a convenient shoulder strap. This genuine leather weekend bag is available in tan and chocolate brown. It has a spacious main compartment perfect for short trips away and an interior laptop sleeve that will fit mobile devices up to 15 inches wide. 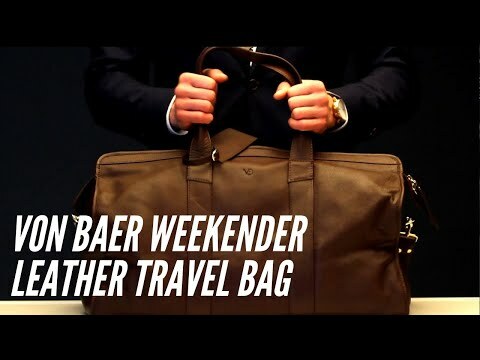 Designed to be the ideal men's holdall bag, capable of carrying everything you need for a few nights away. The robust shoulder strap ensures the bag is perfectly manageable for long journeys or as a sports bag for trips to the gym. You can have this men's weekend bag personalized with laser engraved letters or any characters of your choosing.